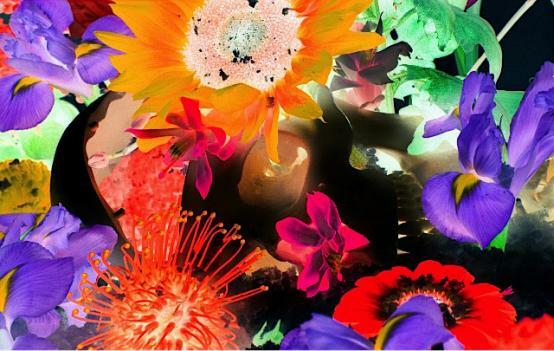 Marc Quinn’s 'Flowers' series has its roots in 2007. To Quinn, they represent a reflection on human desire, and the possibility of pushing the limits of nature, as flowers from different seasons are available at all times, since they can be flown in from around the world. Accordingly, pairings can often result in contrasts between the natural (the plant itself) and the unnatural (their simultaneous availability). 'Psychopsis Krameriana Nurseries' exemplifies the sensuality of flowers, a leading theme in Quinn’s work: its vivid colours and hyperrealist style, combined with the use of subjects such as Orchids, which Quinn describes as 'sculptural' and 'pornographic', allows the artist to produce a complex depiction of the triumph of nature over the artificial. Marc Quinn is regularly exhibited and collected around the world, and his works were recently purchased by Oblix on the Shard.